You can help your child pick out a ski helmet, and ensure that they have the right Winter Sports Insurance coverage should anything go wrong, but there comes a time when you may have to put them into the care of others. Ski schools are a fun and safe way for your child to learn how to ski, but any parent could be forgiven for being a little anxious about leaving their child in the company of strangers. We asked Ski instructor, and ski writer, Rob Stewart for some tips on choosing the right ski school for them. How do you know your child's ski school is safe? I recently took my 3 and a half year old daughter to the resort of Warth in Austria for the first time. She had already been on the dry ski slope at Gloucester a few times and I'd also taken her out in the snow at home with some basic plastic skis. I think this is essential for anyone who goes skiing for the first time. I spent the first morning just watching her class in the morning with most of the other parents, so she felt confident. 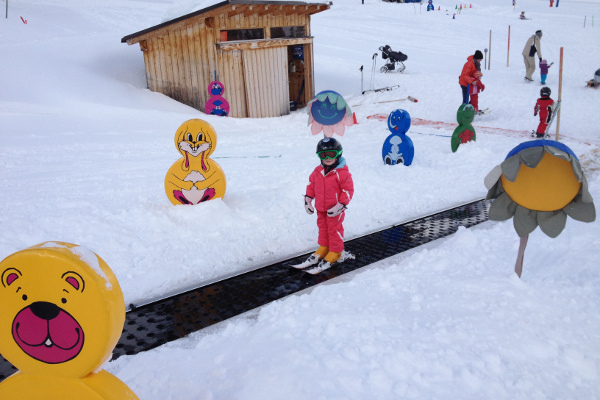 Most ski schools have great set ups now for small kids, with magic carpet ski lifts that make it easy to get up a small slope. I never felt concerned and amazingly, one of her instructors was from Gloucester! Skiing is a relatively safe sport and I think putting kids into a ski school is the safest place they can be. If you're concerned, you could ask the office whether the instructors are qualified. Often the instructors who teach the smallest children are not highly qualified, but as long as they have the basic level, that's fine with me. 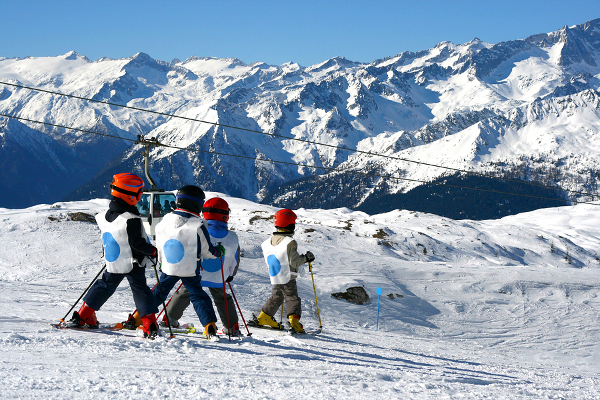 What should I look out for at a children's ski school? "Ensuring there is some kind of qualification for the instructors is important, even if they are not at the highest level"
Ensuring there is some kind of qualification minimum for the instructors is important, even if they are not at the highest level. Speaking to the instructor is a good way to get an idea about what they are like. What's their appearance like, do they look like they've been out on the town all night long? Ask them where they are taking the children if they are heading up onto the mountain, will they stop for a break and what kind of things will they be learning? If you're not happy then ask to change instructor, simple as that. What should kids know when learning to ski? If children are in a group with an instructor they must understand the importance of listening and staying with that group at all times. 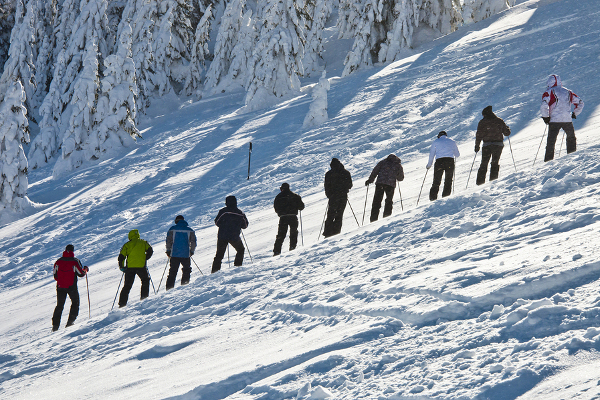 The basic mantra for a ski instructor is safety, enjoyment, learning, in that order. Good foundations will ensure they will learn how to ski well. Teaching children where they are on the mountain is also very important. Children don't pay any attention to this so they must be guided by adults. Stop with them and point out features, ask them to lead the way and find a certain point. When children get lost or separated on the mountain, it's rarely a reason for major concern, but being able to navigate will mean a much earlier relief all round. What are the best ski gadgets for kids? Obviously the most important thing for children is to keep them warm and dry, so a good quality jacket, salopettes, gloves and woolly hat (when they are off the slopes) is essential. In terms of gadgets, a mobile phone is useful if they can use one anyway in case of any emergency. Other than that, one the hardest things for children and therefore parents, is carrying skis and a device called Portaski (www.portaski.com) is perfect for getting kids to transport their own skis around the resort. How can you help teenagers stay safe on the slopes? The best thing for teenagers is to put them in a ski school class for the week with other teenagers. That way they will be well looked after, get to explore the slopes and hopefully make friends too. Whatever level they are, they would always benefit from ski lessons and most instructors with a group like that would ski them as much as possible, keeping things fast paced and exciting! If they do ski away from ski school classes and their parents, then firstly they must never ski alone and secondly, they must not ski off-piste. Stick to the marked slopes of the resort and even if they did get a little lost, there is always help available close by. Rob Stewart started teaching at Bracknell Ski Centre and then taught mainly in Switzerland where he was Head Ski Instructor for Springbok Ski School in Verbier for several years. He is now an instructor for Free Ski and is co-editor of a new magazine The Ski Trade which focuses purely on the snowsports industry and covers both equipment and travel related topics. Contact him via Twitter @Ski_Press or Google+.